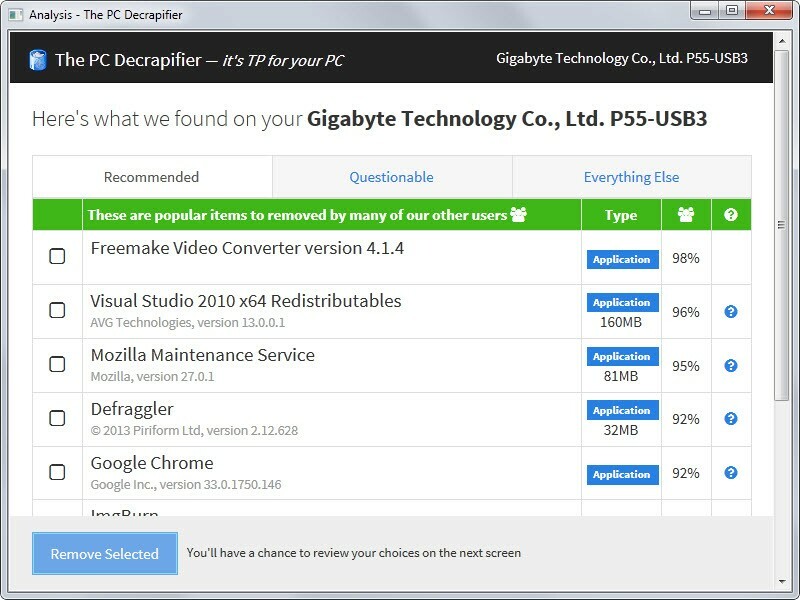 PC Decrapifier is a software that’s been designed to remove trialware and unwanted software such as those that come with new Desktops or Laptops. It works flawlessly uninstall software such a Corel, MS Office, Norton Anti-Virus, Wild Tangent Games and many more. It can also remove browser toolbars, OEM Home, AOL and unnecessary start-up items. It does not require any installation and can be run via a removable device (such as a pendrive, SD card or external hard drive). It’s also specially useful when cleaning up our PC as it will inform us of what program is and if it’s safe to uninstall as in many cases a lot of programs are installed behind our back and we don’t even know what they are.